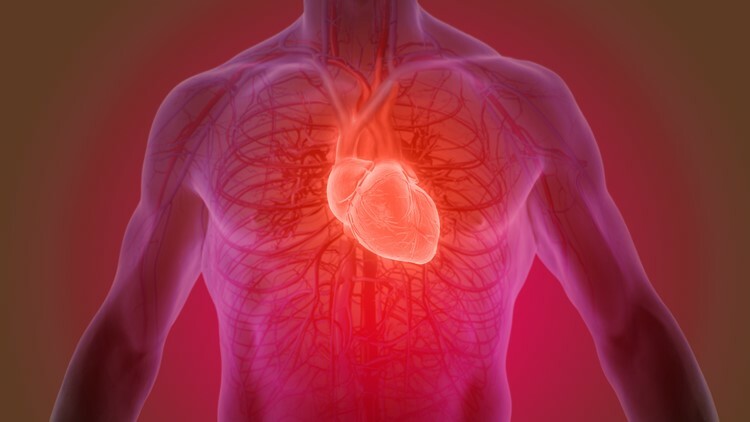 Two new studies reveal other factors that could lead to increased heart disease risk. KUSA — Heart disease is the No. 1 killer in the U.S. for both men and women. We are still learning much more about how to keep our hearts healthy. Two new research studies shed some light on possible risk factors for heart disease. A new study from Duke University looked at more than 17,000 patients and found that people with gout had a 15 percent higher chance of dying from heart disease or stroke. Gout is usually thought of as a disease of the joints, causing pain and inflammation. But, this inflammation can also affect the heart and brain. We know there is a link between inflammation and CVD. Most people with gout have one to two flares a year and don't think about the effects it can also have on the rest of the body as well. If you have gout, talk to your healthcare provider to make sure you are managing your other risk factors like your blood pressure, cholesterol, diet and exercise. And, if you start to have any signs of a heart attack or stroke, go to the ER immediately. People who sleep too little or too much have higher risks of heart disease. Researchers looked at data from the National Health and Nutrition Survey of almost 13,000 adults who had no heart disease and asked them how much they slept on average at night. People who slept seven hours had the best excess heart age. Excess heart age is based on a person's own age, and then calculating how "old" their heart is. Someone who is 50 years old, but has an excess heart age of 5 years, would have the heart of a 55-year-old. People who got 7 hours of sleep every night had a heart age of 3.7 years older than their actual age, people with 6 hours of sleep had an excess heart age of 4.5 years, and people with 8 hours or more had an excess of 5.1 years. Sleep is when the body can regenerate itself in a way. Too much or too little sleep can also be markers of excess stress, depression and anxiety. When you have less sleep or interrupted sleep, your body's cortisol and other hormones levels can be off and can lead to higher blood pressure, obesity, diabetes and heart disease. Get those 7 hours of sleep every night! Not only is it good for your brain, attention span and ability to concentrate, but it is also good for your heart.